Kate Thayer has always been an artist. From intricately designed clothing knitted from exotic yarns from around the world, to culinary artistry, to garden design, and finally to painting with pastel and oils. They have all had the same aim: to create sensory and spiritual experiences that are personal, provocative, and life-enriching. The museums and art galleries have been her education. She is a continuing student of the present and past masters. 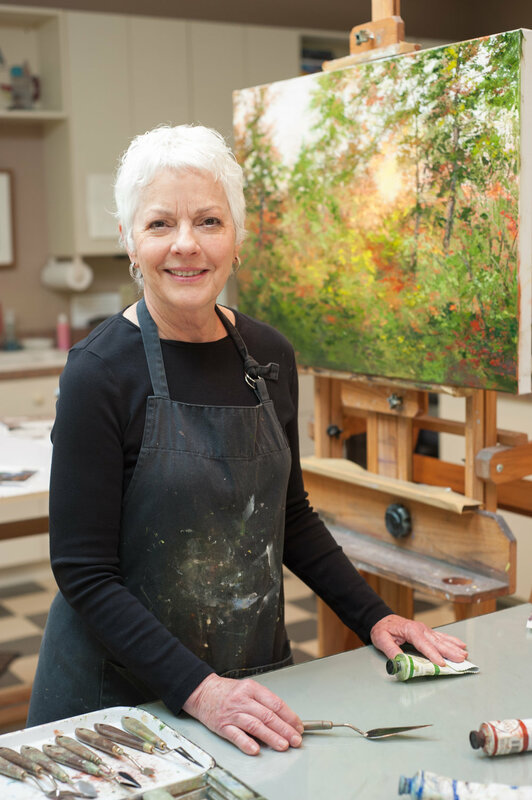 She is an accomplished and widely recognized painter. Her work has been juried and awarded in international, national, and local exhibitions. She is recognized for her exquisite voice in her paintings.